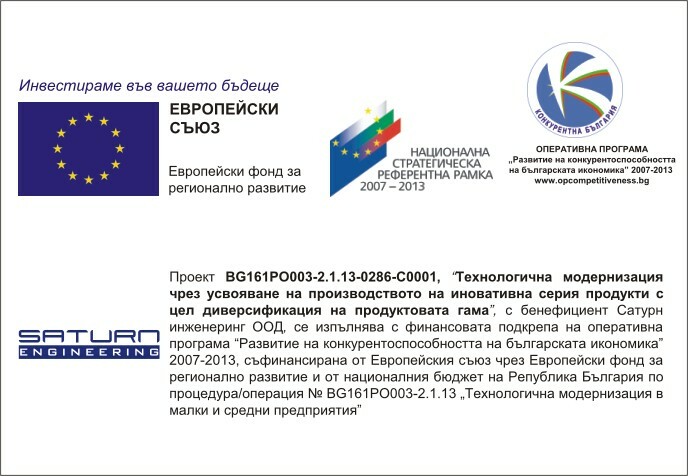 The iCOOL FP7 Project started in October 2011 with expected continuance 25 months. Since 1st of December 2010 Saturn Engineering Ltd. is working on a project of world significance as part of specially selected consortium. We are working on A modular phase change material thermal store that enables optimal performance of renewable energy systems. We embrace the concept of quality through continual improvement and our ultimate goal is continued customer satisfaction. Today Saturn Engineering Ltd. was awarded for longstanding contribution in the area of innovations. 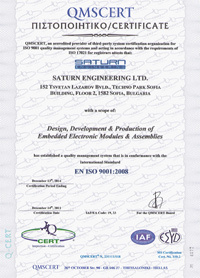 Today Saturn Engineering Ltd. was successfully recertified according to ISO 9001:2000 standard. “It’s a pleasure to work with Your company”, said Mr. Lazaros Karanikas, Managing Director of ASR.